Great evening with the University of Sheffield annual Sociology Student Ball in our photo booth. It was held at Mecure St Paul’s Hotel in Sheffield and had a fabulous casino theme. The room was dressed up with casino colours and decorations, uplighters around the room set the atmosphere. Even the band couldn’t resist going in our photo booth, complete with cup of tea! 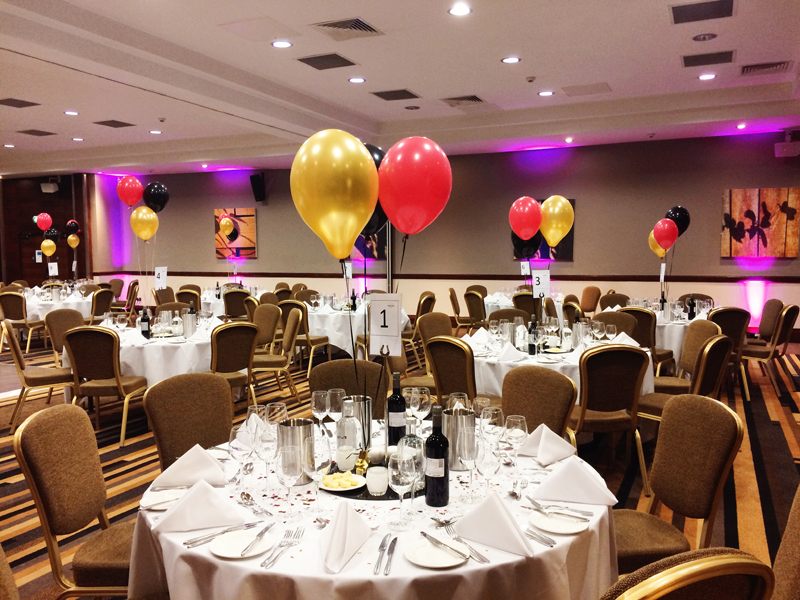 The Mecure St Pauls hotel held a glamorous Gatsby themed ball for University of Sheffield medical students on Saturday evening. Mecure St Pauls Sheffield asked us to come along and make the evening even more fun and memorable. We put up a fab and glitzy backdrop on our photo booth and sourced themed props, Gatsby feathered headbands, moustaches, top hats, pipes and even a monocle! 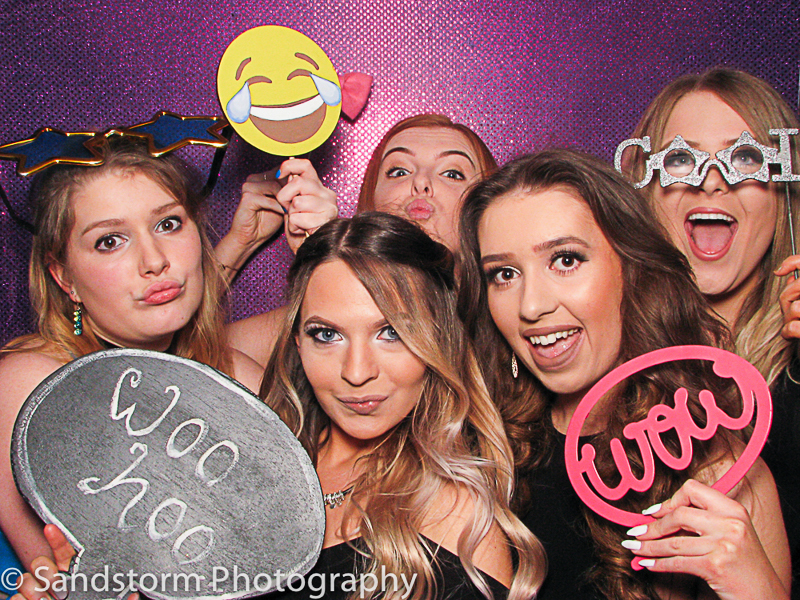 We have one of the largest photo booths in Sheffield, great for large events and groups- to have real party! A fantastic evening at Heaton House Farm in Cheshire! 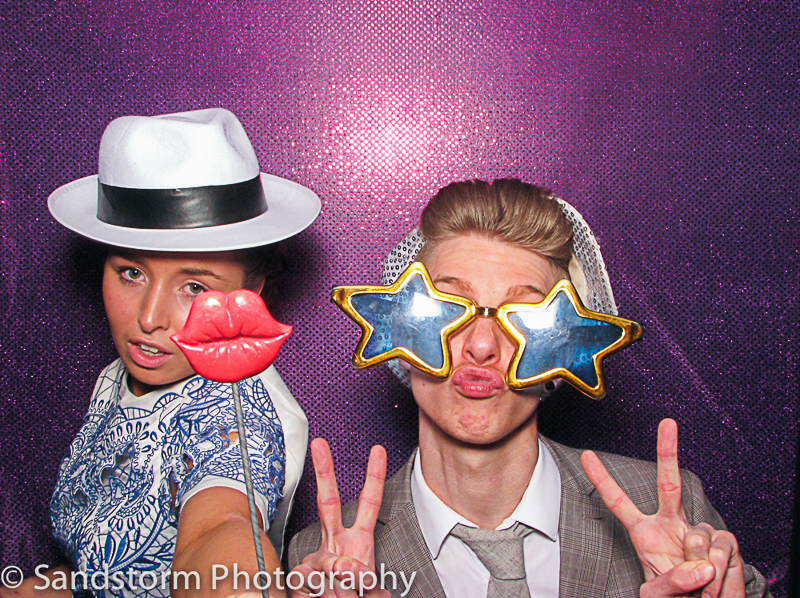 Amy and Scott partied the night away in our party booth, all their guests had a fab time in the roomy booth!